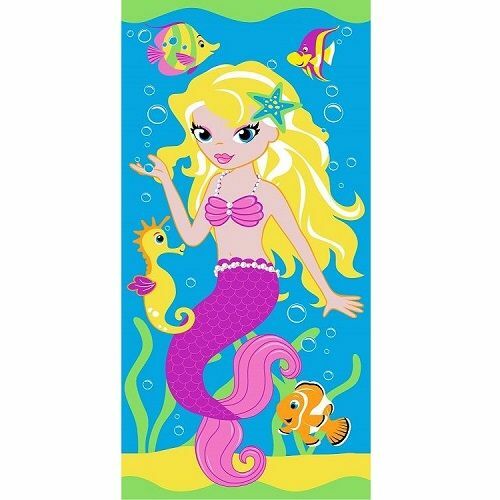 This beautiful Mermaid design kids beach towel is great for the beach or swimming. It is made from 100% lightweight cotton. The size of the towel is 70cm x 140cm.